Weinberg freshman Kasey Brown creates pop culture-inspired spirit wear. She has donated more than $2,000 to charity. Before Weinberg freshman Kasey Brown even stepped onto campus in September, she was already bleeding purple. Brown is the designer and business owner of NU Wave, which specializes in offbeat, pop culture-referencing clothing for Northwestern students. The original shirt, which can be seen on the NU Wave website, features baby North West, with purple block letters spelling “-ern” following. Brown said she made the North West design because she believes people like referencing pop culture all the time. “There isn’t other NU wear that is cool and pop culture-y, and that’s what our generation is all about,” she said. 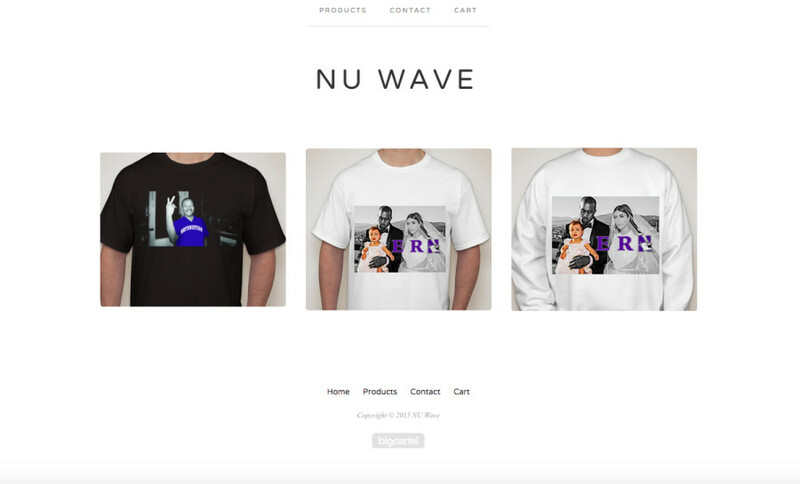 Currently, the NU Wave website sells the North West-ern design as a T-shirt and crew neck sweatshirt. Also featured is a T-shirt with a print of Martin Luther King, Jr. flashing a peace sign and wearing a purple Northwestern polo, in honor of Black History Month. All the profits for the shirt are donated directly to charity, and so far, she has donated over $2,000 to organizations including the Black Youth Project. Brown says she runs her entire business online, from orders to customer service emails. Through her website, she’s been able to talk to not just current NU students, but also alumni. “Alums have emailed me really cool ideas, so it’s cool to get support from alums who graduated in 2006 or 2008 when I’m just a freshman,” Brown said. Brown said the hardest part of running the business is finding the time for it. She’s on a pre-medical track, and she’s also a member of various campus organizations, including For Members Only and UNITY Charity Fashion Show. Moving forward, Brown said that she doesn’t see fashion as her primary focus, despite her love for it, but that she enjoys running the business now. In the spring, she’ll have new T-shirt designs available on her web site. “With the T-shirts, I get to be myself and own something,” she said.